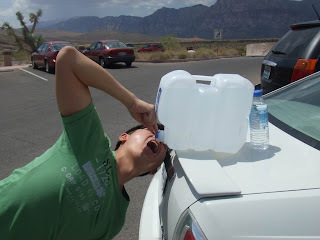 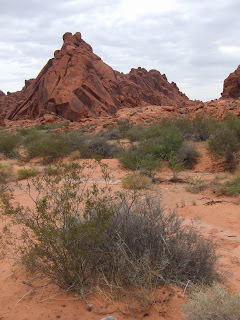 Started the 3rd day with breakfast and stocking up of lots of food (lesson learnt from the trip to Valley of fire). 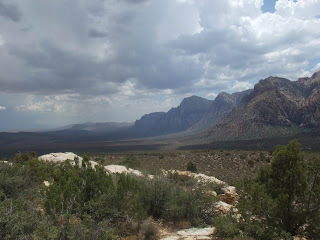 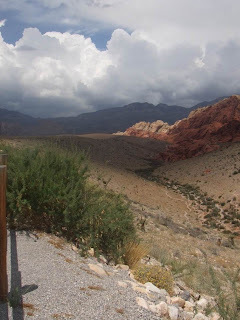 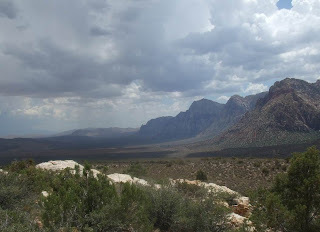 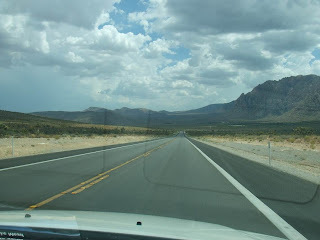 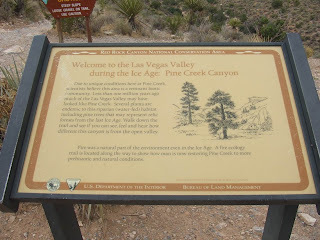 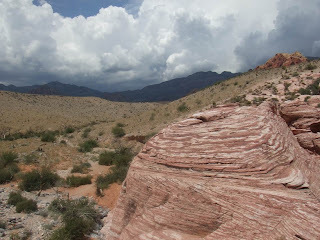 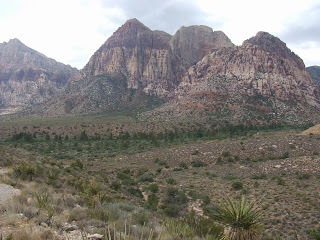 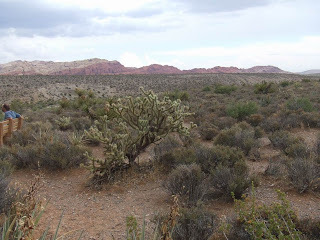 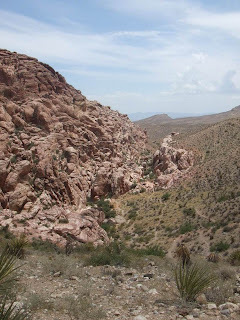 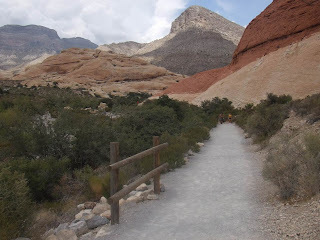 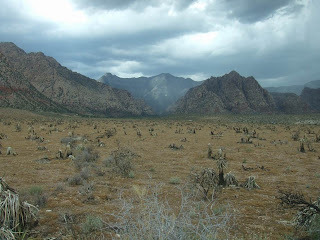 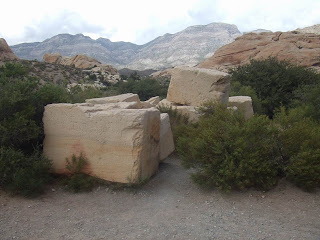 Then we traveled to Red rock canyon, located north west from Vegas, which we took 1hr to get to. 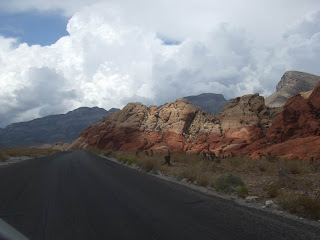 The road to Red Rock Canyon. 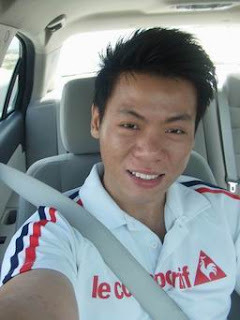 The happy me, proud of the preparation jobs we've done! 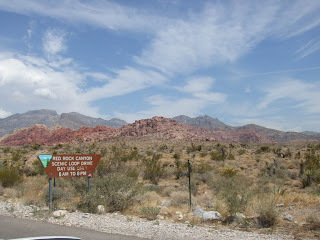 Welcome to Red Rock Canyon! 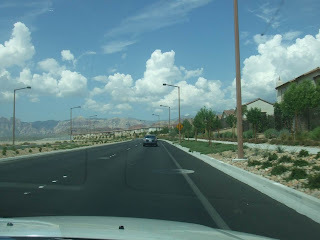 The path leads to what used to be lime rock factory. 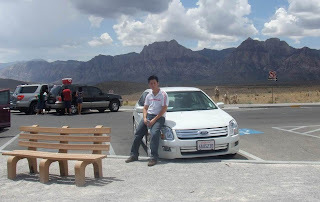 And our wheels, a 5 seater Ford. 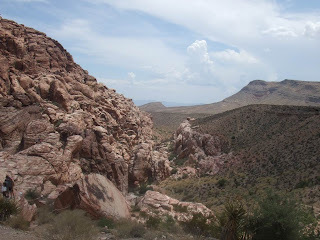 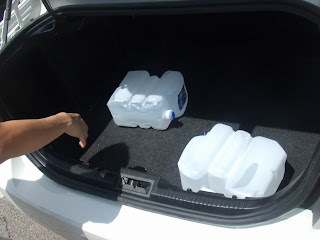 We rested in one of the pit stop for lunch (frozen sandwich) and water. 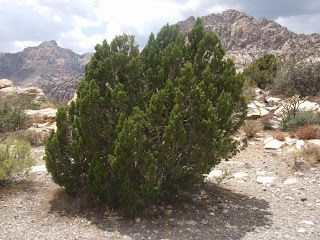 Pine tress in the desert. 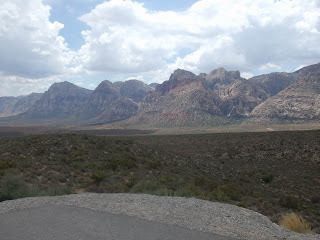 Along the 13+ miles scenic drive. 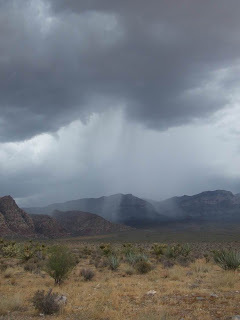 Rain pouring down, supporting life of many beautiful creatures.